Sailors! 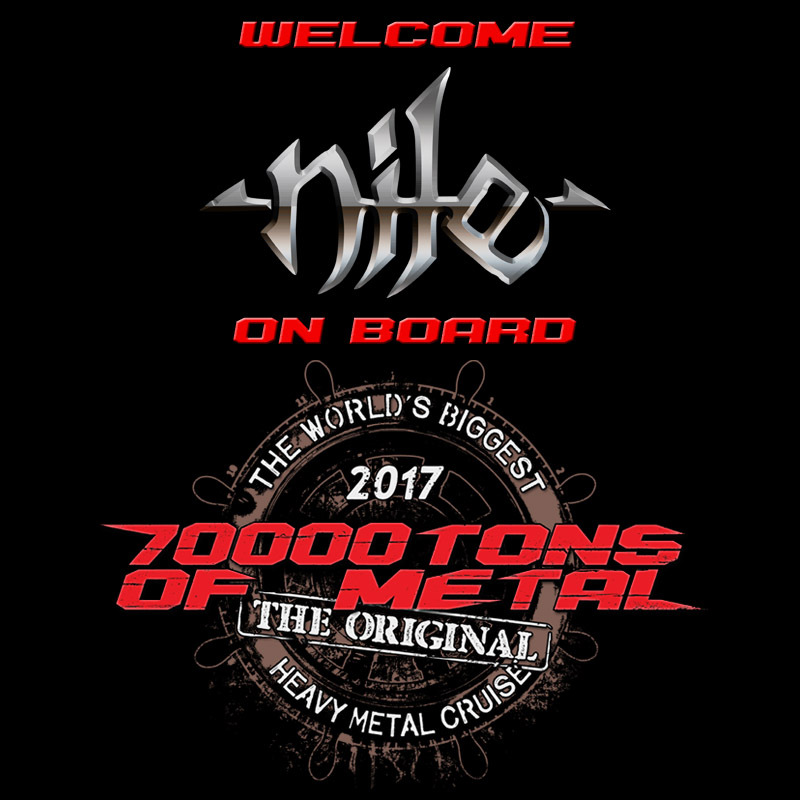 Prepare your necks as we welcome Technical Death Metal masters NILE back on board 70000TONS, The Original, The World’s Biggest Heavy Metal Cruise. They’ll send you through the Gate of Sethu once on the way to Haiti, and once on the way back!